Add brilliance to your presentations. 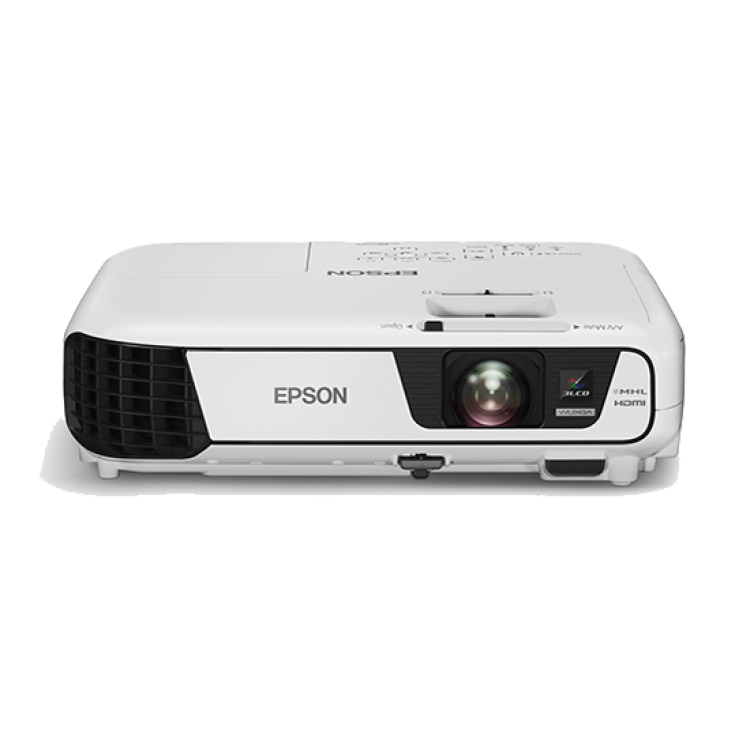 Boasting stunning brightness of up to 3,200 lumens and a high contrast ratio of 15000:1, these projectors enable you to project beautiful, well-defined images wherever you are, regardless of ambient light. Deliver powerful presentations anywhere in the room. The easy-to-use sliding Horizontal Keystone Adjuster means screen corrections can be done quickly, easily and accurately, even in a limited space. And with automatic vertical keystone detection and adjustment, there is no longer any need for awkward and time-consuming manual image adjustments that interrupt the smooth flow of your presentation delivery. This handy feature automatically detects the projector’s vertical keystone distortion and corrects it instantly. Advanced connectivity features mean convenient and hassle-free projections for your presentations. With a wide-ranging interface, you can choose from a variety of connection methods including HDMI, VGA and LAN. For more information on Epson's environmental programme, visit http://global.epson.com/SR/environment.